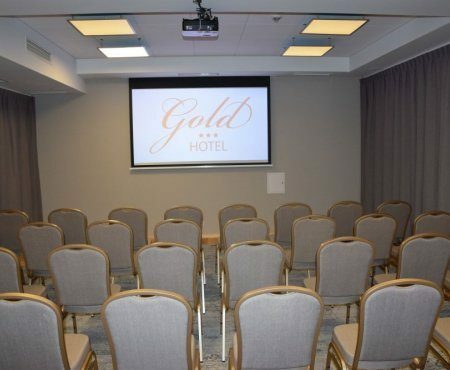 Gold Hotel is an intimate place. It will meet the needs of tradition enthusiasts and lovers of modernity. The hotel is located in a peaceful area of Zakopane but still quite close to the city centre. Convenient road access is another advantage. 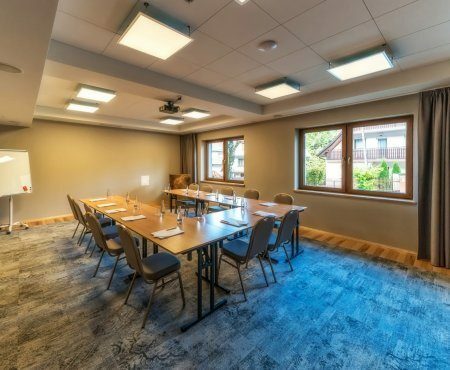 All this makes it perfect for arranging various conferences and business meetings. We know how important professional service is for such events. You can expect us to do our best to provide your company with the best possible conditions for organising your planned event. 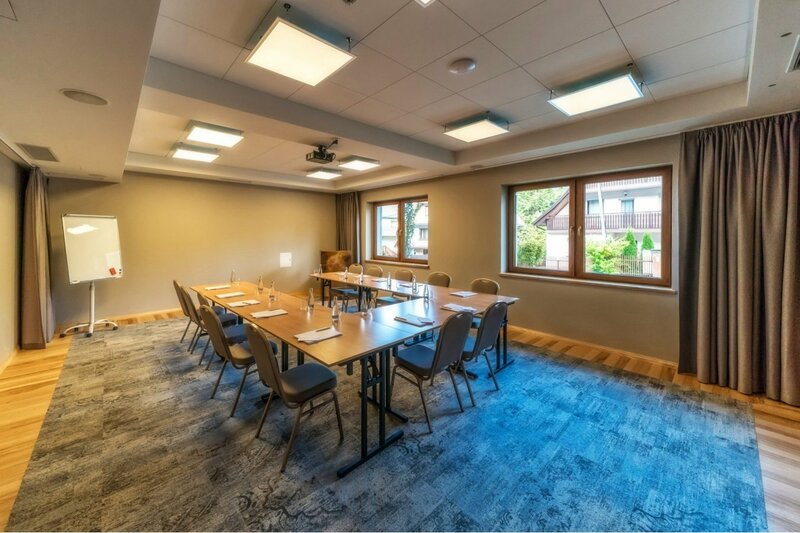 Our conference room in Zakopane is provided with innovative and comfortable equipment. The standard equipment of the training room includes a multimedia beamer, a screen, a flipchart, a loudspeaker system and free Wi-Fi access. 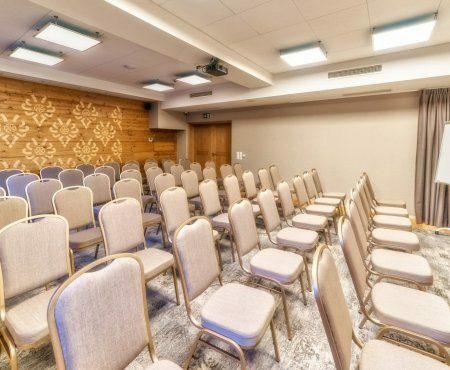 You will easily hold meetings, conferences and trainings there. 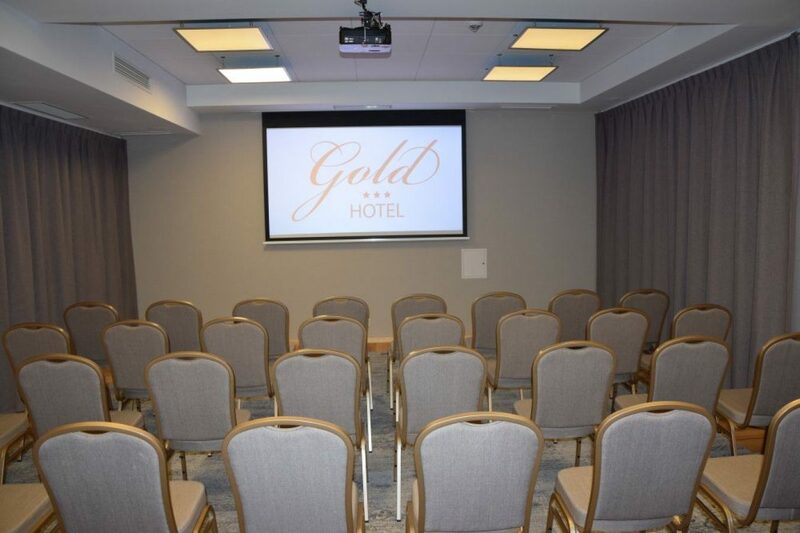 The conference room at Gold Hotel is fully air-conditioned. Its surface area is 44 square metres. It is located on the ground floor, which makes it easily accessible also for people with disabilities. If you are planning an event that lasts for a couple of days, we can also provide the participants with accommodation. We offer double rooms and suites. Przy KominQ Restaurant offers buffet style breakfast and later on also other meals from the Polish, European and regional cuisine. 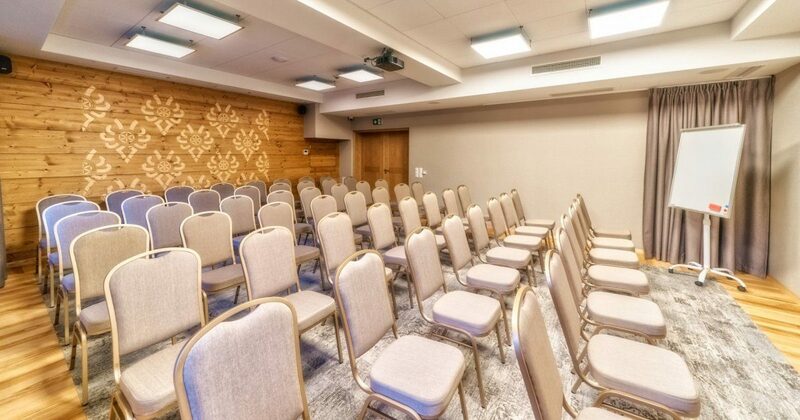 You can book both the conference room and accommodation in Zakopane online. 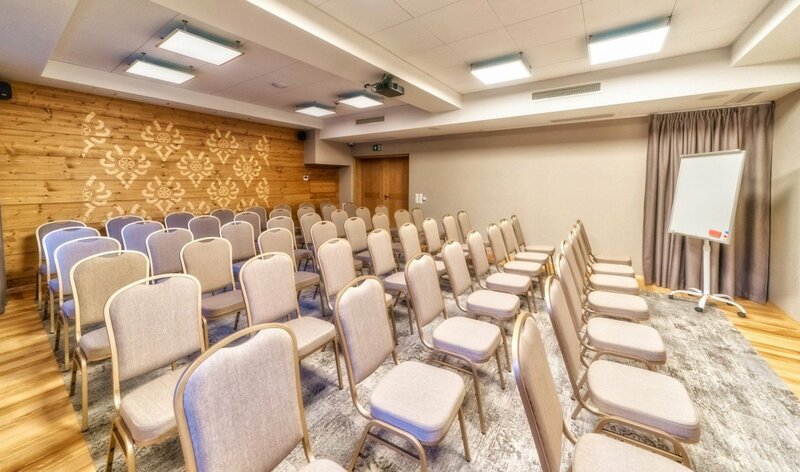 We will provide you with a space sufficient to create the right atmosphere for any meeting. Our individual approach to your needs and unique atmosphere are what we do best. Make sure you contact our Sales Department.